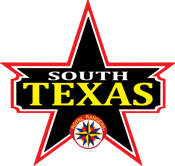 Who are the South Texas Royal Rangers? South Texas Royal Rangers is arranged by sections across South Texas. There are 10 sections representing South Texas from Beaumont to North Houston to San Antonio to Corpus Christi. For more information about each section, click on their page link below. If you are unsure which section your outpost belongs to, please send an email to info@stxroyalrangers.com. What section am I in? South Texas Royal Rangers is organized into 10 Sections that comprise 3 divisions. 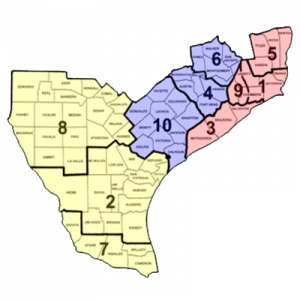 * Click below to download PDF versions of our boundary maps.